Whether their behaviours are amusing, bewitching and charming or aggressive, bothersome and cantankerous, living with cats is always adventurous, seldom boring and occasionally challenging. Certain breeds are more prone to this instinctive hunting and retrieving behaviour. 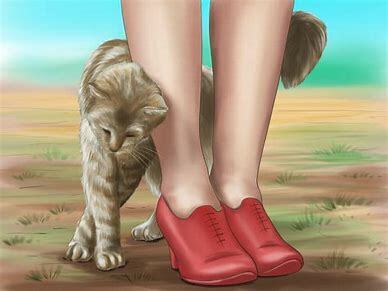 While some indoors cats will be satisfied chasing and catching feathered cat wands, some relish gathering up their own toys, string, or small items like their owners’ jewelry, and keeping them all together in a spot all their own. This behavior may mean something is amiss INSIDE the box. Perhaps your cat no longer likes the feel or smell of the litter or the type or location of the box. Perhaps your cat is ill or in pain or stressed by changes either in routine or in the environment. If your vet finds your cat healthy, address the litter box itself. Then, hopefully, once the cause is determined and the matter resolved, your cat will return to “business” as usual.